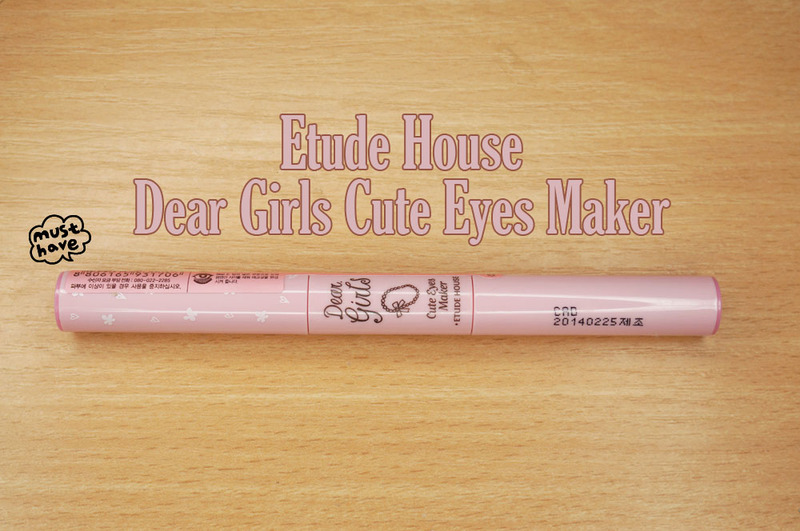 Today I have make up review of Etude House Dear Girls Cute Eyes Maker! 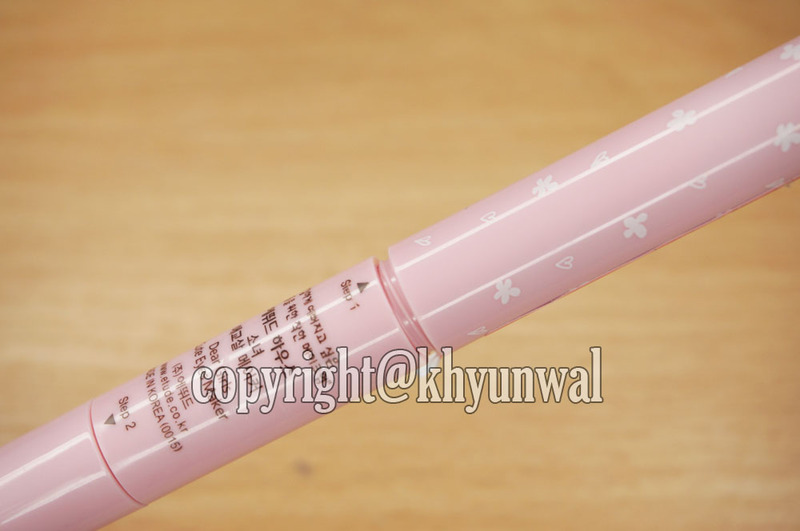 This product is to make one of those famous puffy eyes look, which is really popular make up in Asia. I know not many people in United State probably does not have desire of having eye bags. And maybe find it weird that people actually purposely want to have eye bags underneath their eyes. It actually surprised me at first as well. Apparently having those eye bags underneath your eyes give little bit of youthful innocent looks. And now-a-days in Korea and Asian countries, having youthful look is all about it. so I have gotten this product to try it out! This product is made with Shea butter evening primrose oil and argan oil, which prevents from the powder to get all over your face. And because Shea butter and oil it will keep your skin moisturized for a long time. >Now everyone knows about the effect of Shea butter to the skin, but I don't think many people are aware of benefit of evening primrose to your skin. Evening primrose oil has a high concentration of gamma-linolenic acid (GLA), which is a fatty acid with multiple functions to help control your body. GLA promotes the healthy growth of skin and hair. 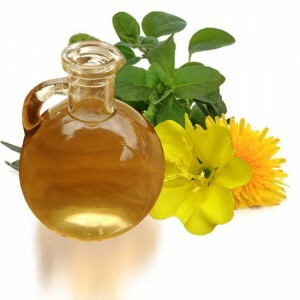 They are especially good when it comes to anti-inflammatory effect, which help you to treat a wide range of aches and pains caused by swelling, so it is really good for woman.One of the most proven benefits of evening primrose oil is its ability to treat dry, scaly, or itch skin conditions. Also it also helps prevent pores from becoming clogged. Another ingredient, Argan oil does lots of benefits for your skin too. Argan oil is pressed from the but of the fruit of the Argan Tree, which is only found in Morocco. And since it only grows in one area, Argan oil is quite rare. 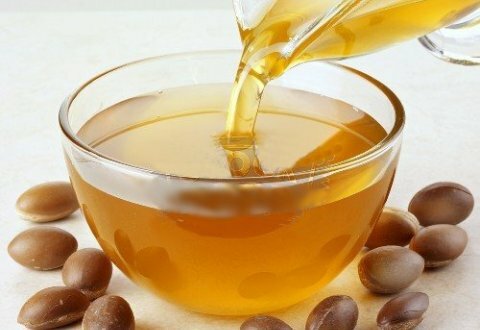 You can find many beauty products that contains Argan oil, now-a-days.But most people may not be aware of what does it actually helps with. I have seen many hair products which contains Argan oil, because its ability to moisturize your as well as adding shine, especially people with frizzy and dry hair. So if you are having problems with dry and split ends of your hair due to frequent heat use, or chemical use, apply argan oil on your damp hair to give the moisture that your hair needs. Now when it comes to skin benefit, you will be surprised what it can do to people with dry skin. Using Argan oil on your skin will help it to smooth, clear and give radiant. Knowing these ingredients give better idea about this product, since this product is to use on the most delicate skin of your body! Skins around eye area are especially delicate, so be sure to check what ingredients are in the product your going to use on there. I just adore the Etude House Dear Girls series. They have such a girly nice pink package for this line. It makes me feel like I am a little girl once again. 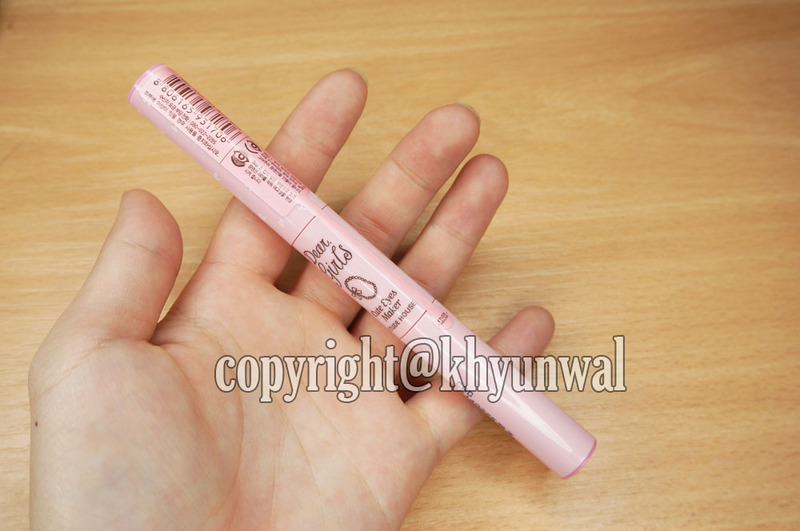 This is nice pen type product, which is easy to store and use. 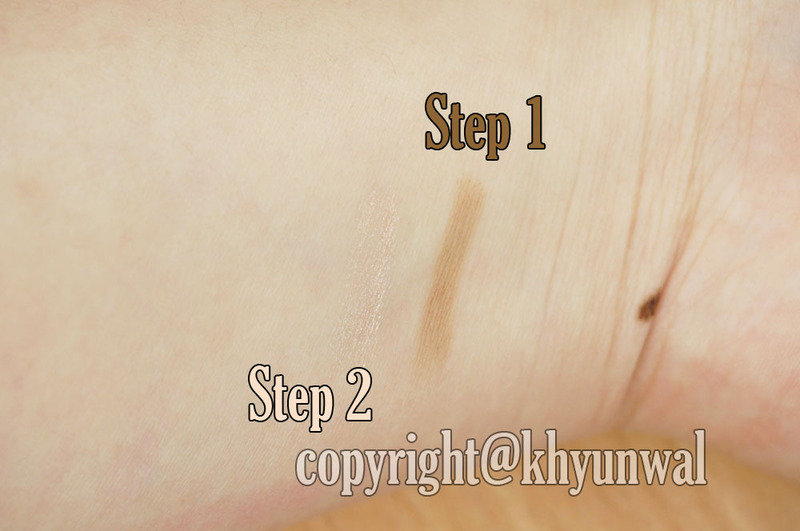 On one of the cap, it gives you picture demonstration on how to apply the product. 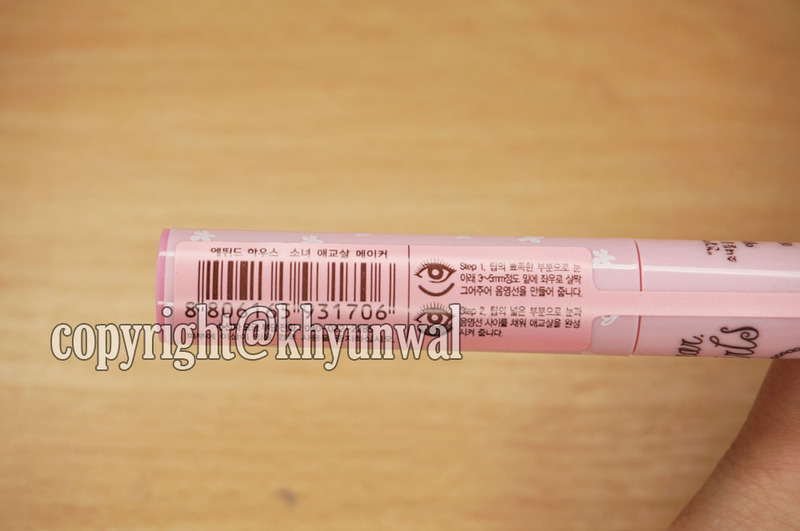 Also be sure to look for the seal, to ensure its authenticity of Etude House! If seal is broken, we all know what that means. They nicely labeled "Step 1" and "Step 2" in English that way we know which one goes first! 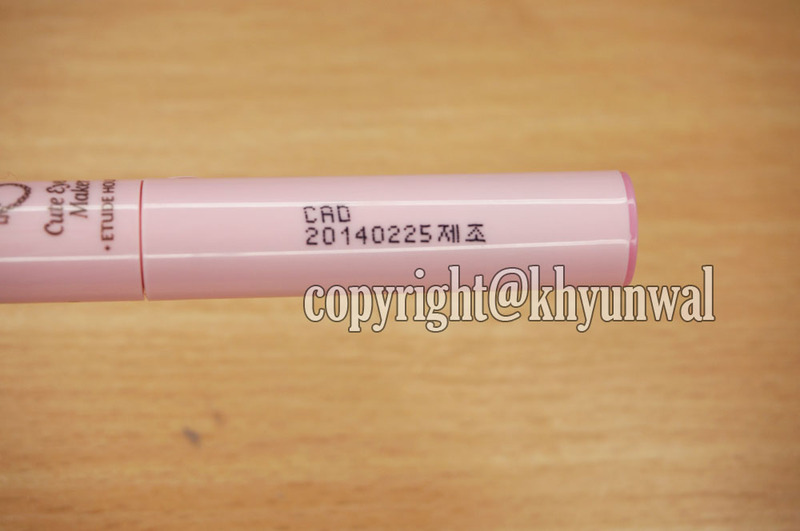 Also there is date of when the product is made on the cap. Mine is made on February 25, 2014 so it's fairly new! This product is easy to open and close. You just simply twist the cap to open and close. And interesting thing about this product is that, the shadows are actually inside of the cap itself! So be sure to keep the cap close properly after you are done using it. Step 1 shading shadow has deep brown color to it. 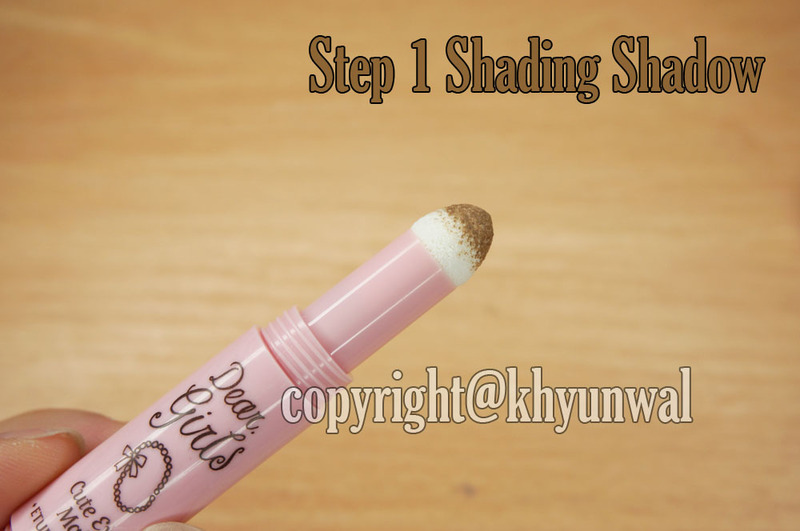 And because this is for shading purpose, it is actually matte texture without shimmery. It was hard for me to see the product at first cause it was so dark! But don't be afraid of this product will make you look like you have "Panda eyes," because when you actually apply it, it has light coverage. 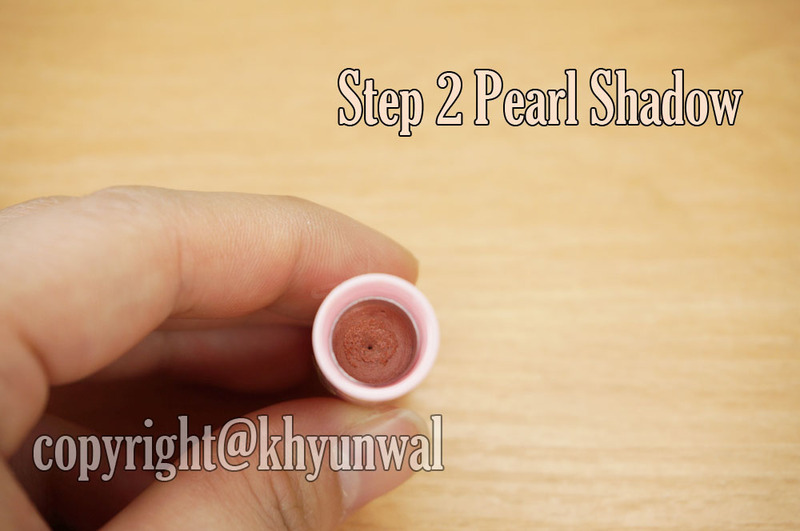 Step 2 Pearl shadow is peach color with shimmery particles. This is to brighten your eye bag area to make it more stand out! This has really nice creamy texture to it, and it blended into my skin tone really well. 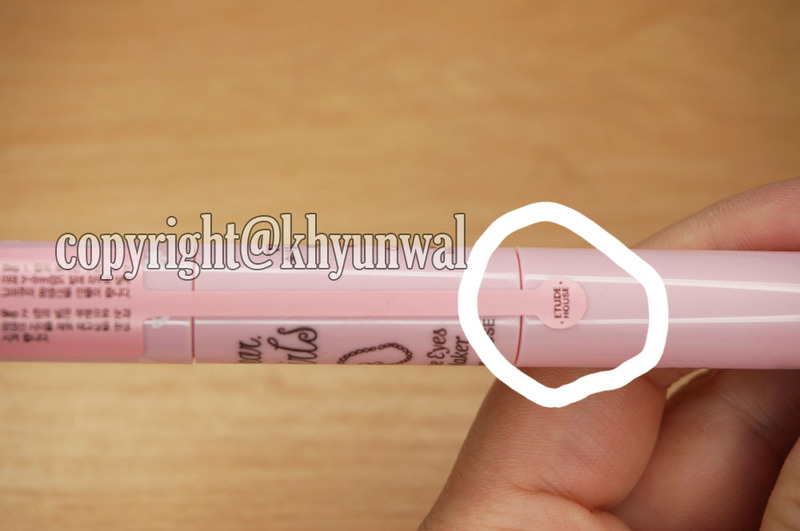 As you can see colors of this product is very well blended. 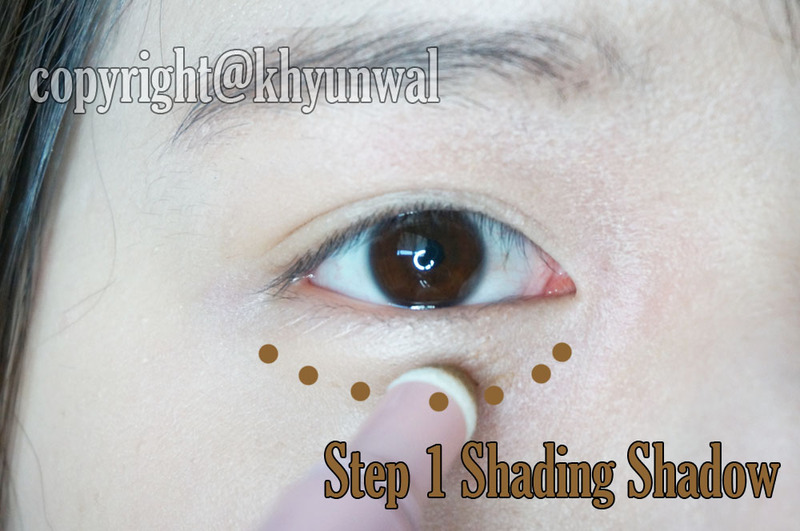 Step 1 Shading shadow creates nice brown shading, which probably go along with any skin tone, to create the shadow underneath the eye area to create that fake eye bag. 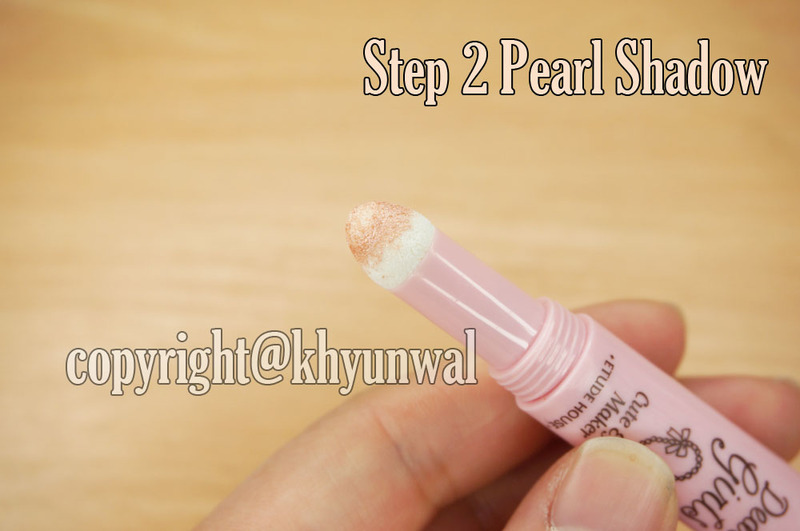 And Step 2 Pearl shadow, since it is peach tone color with little bit of shimmer into it, it might be hard to see unless you look closely. But you should be able to see that where I applied the Pearl shadow, you can see my skin is little bit shinny. This gives really subtle nice highlight to your eyes. 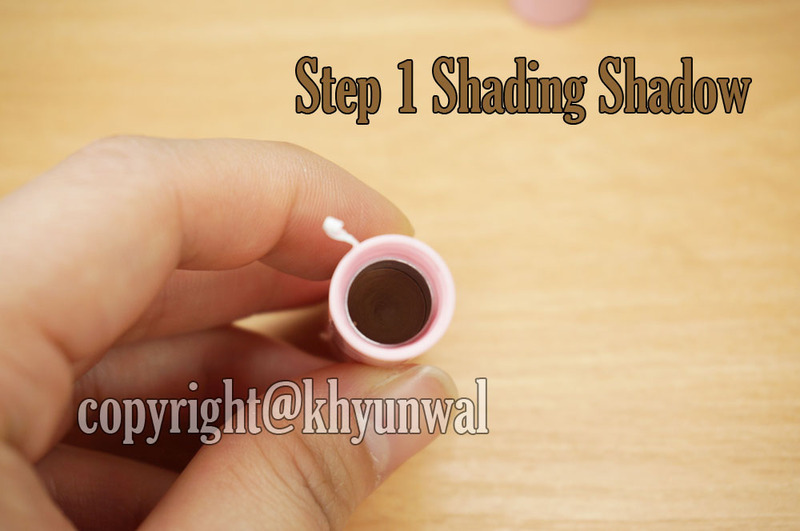 To apply Shading Shadow, first locate your own eye bag to create more depth to it. You can locate this simply by smiling with your eyes. If you don't have much of eye bag, you can simply draw the line about 3 to 5 mm lower from your lower eyelids. After you draw the line, use clean finger to blend the product in and get rid of any harsh lines. 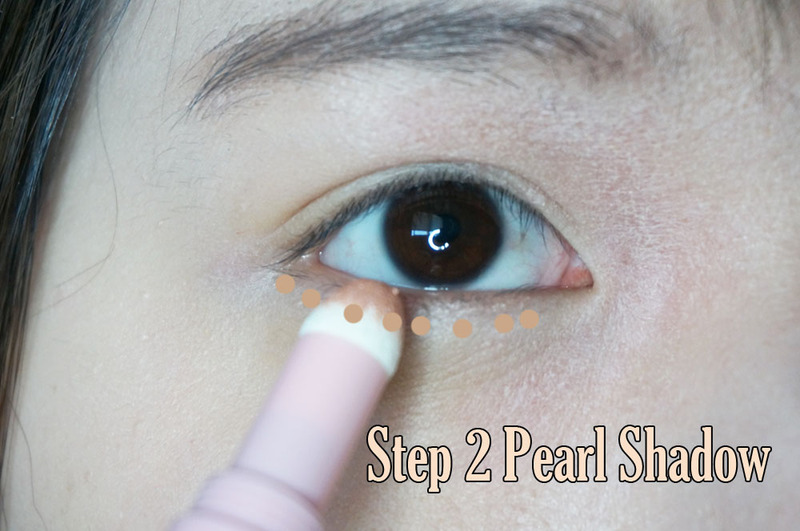 After that, apply Pearl shadow gap between where you applied shading shadow at and your actual eyes. This will help you to give more light into your eyes. Can you see the difference when I didn't applied the Eyes maker and when I did? As you can see, after I applied the product, there is more depth on my eye area and create light shadow. After applying this product, it gave illusion of as if I am smiling with my eyes, which gave more delightful look. I love how dear girls series' packaging is such a cute girl design!! I was really surprised and impressed how Dear Girls Series use many ingredients which are known to have amazing effect on the skin!